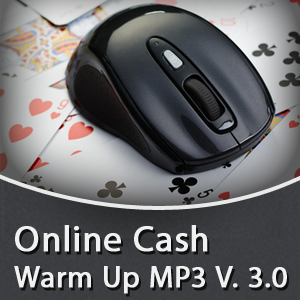 In a live cash game setting being able maintain focus and concentration for long periods of time is an essential skill. Live poker sessions often last deep into the night (and even into the early morning). When others start to become fatigued, intoxicated, or tilted you need to still be playing your A game to take advantage of these mistakes. One of the most effective methods that high level athletes and competitors use to get a mental edge is by using a consistent pre game warm up. A proper pre game warm up serves to prepare your mind to enter “The Zone” at will, and keep you playing your “A Game” longer. Very few players develop an effective pre game ritual on their own, and it’s usually an accident when they do. The goal of a pre game warm up is to get your mindset dialled into the times when you preformed your best, and to get there each and every time you play. 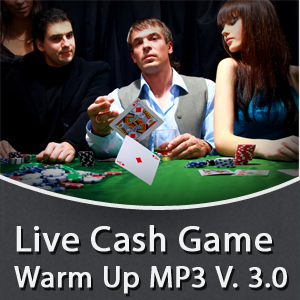 With my Online Cash Game Pre-game Warm Up MP3 I have used years of hypnosis training to develop a simple audio program that takes all the guess work out of pre-session preparation. 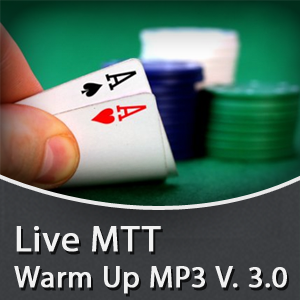 All you need is an audio device, some head phones, and a few quite moments before your session, and you will be on your way to playing consistently great poker. 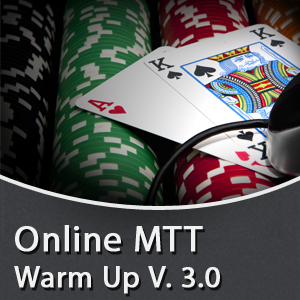 This is Warm Up Version 3.0 in my Live Cash Game Series. Each warm up is unique in its running time and content, allowing you to find one that fits you perfectly as well as switching them up to keep things fresh.